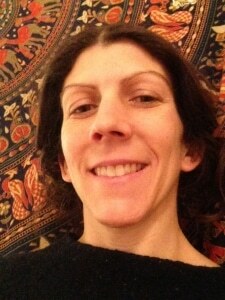 Arianna is a yoga teacher, musician & practitioner of holistic therapies. She came to Yoga in 2004 whilst training as a classical pianist, fell in love with Ashtanga Vinyasa & trained in alignment-based Hatha Yoga at Triyoga in London in 2007. After assisting her teachers Joey Miles & Eileen Gauthier for a couple of years, she was teaching her own classes by 2009. In addition to Ashtanga Vinyasa & Hatha Yoga, she has trained in various styles of Yoga, including Anusara Yoga, Vinyasa Flow & Pre & Postnatal Flow Yoga. After 2009 she spent some years as a travelling yogini, spreading her wings throughout Asia, immersing herself in the Indian traditions & doing further trainings. She got deep into Tibetan Buddhism & meditation, did extensive personal sadhana in the form of silent retreats and some volunteering, trained in Sound Healing in Kathmandu, and studied Indian Classical singing in Varanasi. She found her home in Thiruvannamalai and her teacher in Sri Ramana Maharishi. Arianna’s approach to teaching Yoga combines her love of Vinyasa with both her respect for good alignment & her innate resonance with the philosophy at the heart of the Yoga Tradition. She aims to help you come home to yourself through your body & your breath. Sometimes using music, at other times just the sound of the breath, and with a focus on good alignment & expansive Tantric philosophy, her aim is to show up ready & present to help you in a way that is inspiring, appropriate, useful & safe. Arianna feels passionately that an appropriate Hatha Yoga practise, guided by one’s own wisdom as well as the right teacher, can keep anyone healthy & grounded, in body, mind, energy & spirit. She teaches Yoga and leads Kirtan in and around Bristol and Glastonbury.